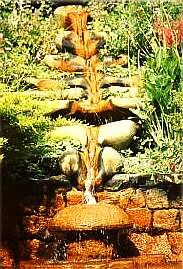 Glastonbury is a many faceted place, probably most well known for its Chalice Well gardens, the Abbey and the Tor. Glastonbury has also become renowned for its sacred trees and generally Somerset for its cider orchards. 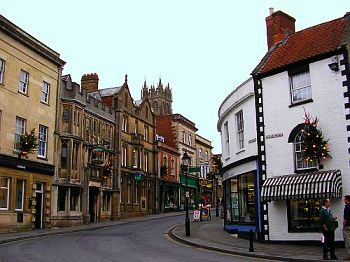 Nearby places include Wells and Cheddar. Glastonbury is a thriving market town with over 10,000 inhabitants. The town has an enchanting atmosphere, attractive shops, great places to eat - and offers a vast range of walks and public footpaths, many of which are the original paths that the monks and pilgrims used. 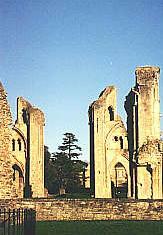 Next to the High Street stand the ruins of Glastonbury Abbey. 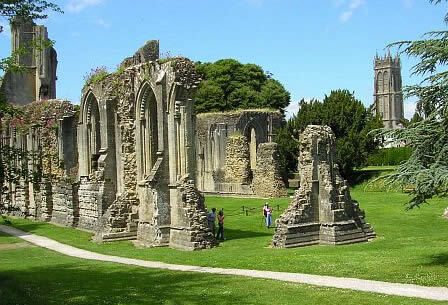 This was the biggest and most important abbey in its heyday. It is held that it was here that Christianity first arrived before spreading across the British Isles. 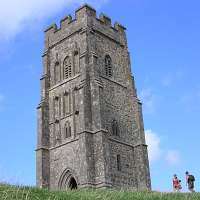 Legend also links Glastonbury both with Joseph of Arimathea and King Arthur, who is said to be buried here. Glastonbury, in the shadow of the Tor - is steeped in Celtic myth and Arthurian legend and is also claimed to be a 'high energy site'. Over the past few decades Glastonbury has become a centre for thousands of spiritual seekers and explorers of alternative philosophies of living. The town now boasts an impressive selection of holistic health centres and alternative healing techniques and practices - many of which are now being accepted and appreciated by medical practitioners trained in the biomedical model. There is a great deal on offer in this area. Besides Glastonbury there are lovely villages nearby and some interesting places to walk, such as the marshes, where one can follow the old monks' trails and - if feeling thirsty - visit some of the local cider farms. Nearby towns and places to visit include Wells (5 miles) with its magnificent Cathedral, Street (2 miles) with the Clarks Shopping Village selling goods at factory prices and the Cheddar Gorge (12 miles away) with its maginificant caves and cliffs. 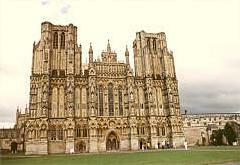 Wells, England's smallest city, has a very impressive gothic Cathedral and many fine medieval buildings. Cheddar Gorge, in the north of Somerset, boasts some beautiful scenery and views from the top of the Gorge across the whole of Somerset. Much of the countryside is remarkably flat and at sea-level, often referred to as the 'marshes' or 'moors', although the countryside is drained and managed. Traffic free, quiet country lanes, public foot paths, canals and cycle paths lead to quaint villages, country pubs, nature reserves, cider farms and other unexpected places. The Somerset countryside is one of the most unique and beautiful regions of England.